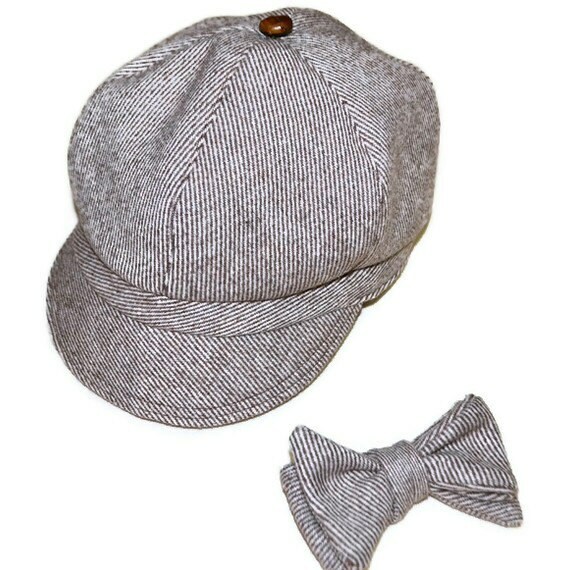 This child's newsboy hat and bowtie set makes a charming addition to any of our boys vests, and is made to order. Shown is a brown and ivory diagonal stripe wool twill, matching our most popular vest style, finished with a natural leather button at the crown. 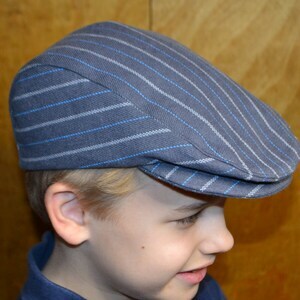 The newsboy style hat is fully lined and finished with professional topstitching detail. 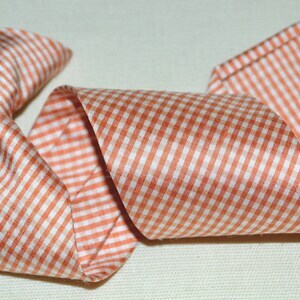 Our children's bowties are offered in two sizes, small size for babies and a regular child size, 4"X3". 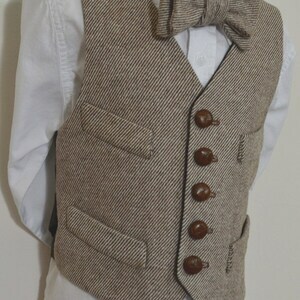 Bowties are attached by a clip to collar, with no unsafe straps to go around a child's neck. Handmade in USA in a clean, smoke-free workroom. Wool products are dry clean only. This cap can be made for girls as well, in any style or lining, wool and fleece for a toasty winter hat. 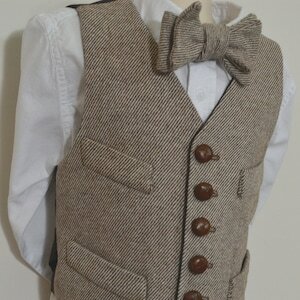 Bowtie is an original pattern by Amy's Top Stitching (AC Ashworth & Co), all rights reserved.